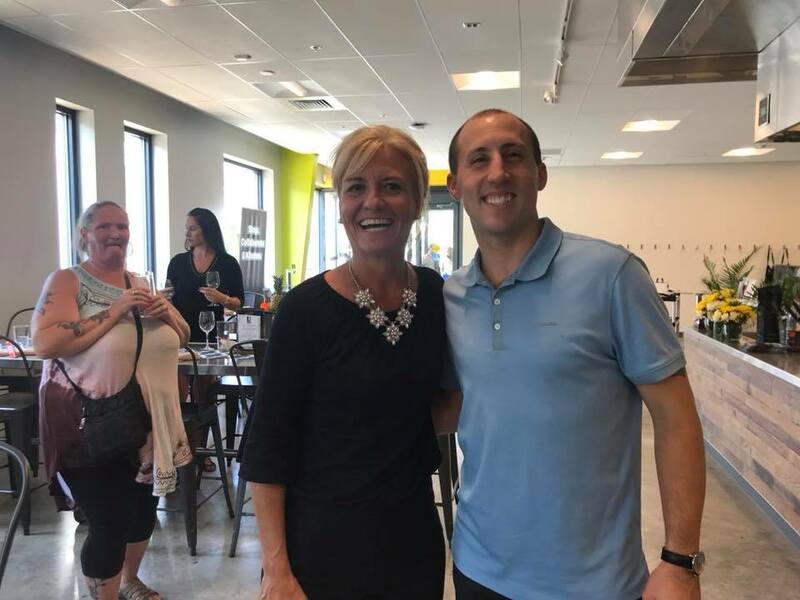 Wednesday 7/11/18 - Baltimore, MD.. U Empower of Maryland’s “The Food Project” hosted a fundraiser featuring celebrity chef Kaimana Chee for a “Sharing & Wine Pairing” event at City Seeds Demo Kitchen located at 1412 North Wolfe St. in East Baltimore. The event raised money to sustain its programs for low-income youth in Southwest Baltimore. The Food Project Youth assisted the Chef in preparing a 5-course meal for the guests and Mayor of Baltimore. Chef Chee, an O’ahu native, is an alumnus of many television programs including Fox’s MasterChef, as a contestant; and Bravo’s Newlyweds, as a guest Chef. He has won the Smithsonian’s Iron Chef Competition and Food Network’s Cutthroat Kitchen. Chef Chee is the Head Chef and Owner of Uncle’s Hawaiian Grindz in Fallston, MD. Southwest Baltimore, where The Food Project is located, has a family poverty rate of 45.9% and a youth poverty rate is 42.3%. The Food Project’s mission is to enhance the lives of the children and families in Carrollton Ridge, one of Baltimore’s most impoverished communities, where over one third of the zip code is in a food desert. “Here at The Food Project we have found that local youths share the desire to contribute positively to their community. As many as 30 of our youth have voluntarily painted and cleaned our facility,” founder Michelle Suazo said. The Food Project, founded in 2015, is a non-profit organization located in Southwest Baltimore in the former Samuel F. B. Morse Elementary School. It provides multiple culinary, health, and self-sustaining skills to youth in the neighborhood. The organization offers a variety of opportunities including cooking demonstrations with celebrity chefs, restaurant concept development, urban farming, healthy literacy, and mentoring.